A guide to effective communication tips between nurses and physicians. Keep reading to learn more about each of these ways to strengthen nurse-physician relationships. Chances are, empathy for patients comes naturally to you. This same empathy is also useful when communicating with physicians. In tense situations, try to place yourself in the other person’s shoes. Upon looking at the situation from their perspective, you may feel better equipped to formulate a professional response on your patient’s behalf. If emotions are running especially high, see if you can table your initial feelings and reactions until you can unwind and reflect off the clock. Find more resources on how to deal with difficult coworkers here. Often, you know your patient and their needs intimately and can serve as an advocate to help them receive the best care possible. Be assertive about speaking up for them if you have information that would help – a strong nurse-physician relationship hinges on this type of communication. Even if you disagree with a decision or course of action, you may find that physicians appreciate you taking the initiative and will become increasingly likely to seek out your opinion in the future. Keeping lines of communication open can mean different things depending on your department. Some hospitals are moving to a model of care that involves interprofessional bedside rounding (IBR), in which nurses accompany physicians on their rounds each rotation. Regardless of how your clinical setting is structured, look for ways to stay involved and seek out daily, routine communication with physicians and other coworkers. 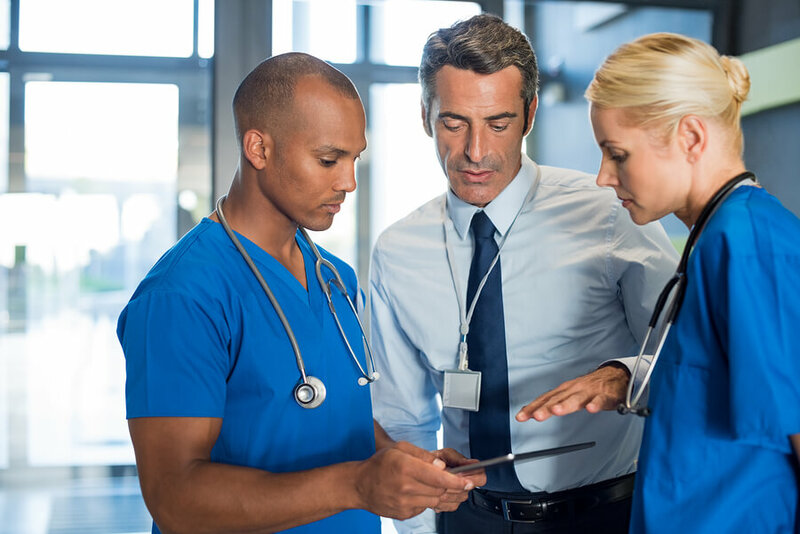 Finding a personal connection with each of them, perhaps something unrelated to work, can also help strengthen your nurse-physician relationships. If you become overwhelmed or irritated at work, take a deep breath and see if you can form a more microscopic view of the day. Remember that your shift is short-lived. Focus on one task at a time and aim to stay professional and positive. Know that you can refuel your own emotional and physical health once you get home, so you can come back refreshed tomorrow. Boost your well-being after a long day with these self-care ideas for nurses. When it comes down to it, remember that you and the physicians you work with are a team with the same goal: to provide quality care to your patients. With the health of your patients in mind, be a team player and make sure your coworkers know they can always ask you for help. Presenting yourself as approachable, willing, and helpful can go a long way in strengthening your nurse-physician relationships. These simple tips can help you develop effective communication with physicians and other coworkers, so you can feel good about the care you’re providing for patients. Check out our blog for more useful tips and tricks for your well-being and career.